Home » Banking » Loans » How to set up a Joint Bank Account? How to set up a Joint Bank Account? One of the financial issues you have to handle when you are part of a couple is whether should you open a joint bank account? The answer, of course, has largely to do with personal preferences and need . Even if you retain separate accounts for your own spending, having one joint account that you can use for shared household expenses, repayment of loans etc or an emergency fund, can make your cash flow a little easier through your personal funds. Having a joint account has works well for sharing a lot of expenses. But in order to understand the basic pros and cons , it is necessary to delve into the advantages and disadvantages..
A joint banking account is one in which both your names appear on the account, and you completely merge your money. You would deposit all your money – from wedding cash gifts to your salary – into this one account and use the funds for expenses from the mortgage or rent to eating out. There’s no question where your money is, and you can easily pay bills. Either of you can make cheques, withdrawals, and of course deposits. Couples will find a joint banking account convenient because everything is in one pot and there is not much to juggle. If one of you passes away, the other automatically gets the money in the account without having to wait for probate. Since both of you have equal control of a joint banking account, either of you can deposit and withdraw money without having to inform the other. Even if this happens unintentionally and without malice, it can cause friction. Say you have Rs.50000 in your account and you make a withdrawal of Rs.35000 for the new cell phone and your wife issues out a cheques for Rs.20000 the day after, she will have a bounced check and a negative balance. If you ever get separated or divorced, a joint banking account can cause big problems. Either of you can clear the account regardless of who deposited most of the money. Although you can take your spouse to court to get the money back, it’s a long process and there’s no guarantee that you’ll ever see the money again. In addition to these problems big and small, you and your spouse might feel as though you can never spend a dime without first checking in with the other person. This can make some people feel trapped and far less independent, which can cause resentment to build and can be dangerous for your marriage. As long as you both are willing to give the other access to the money you share, setting up a joint account is fairly straightforward. Most savings, cheque and money market accounts can be set up jointly. Just go into the bank with the required identification, and you can set up a joint account. You will need to decide what type of joint bank account you have. The most common type is the kind that allows either of you to access the money at any time, and for any reason, with rights of survivorship. Make sure that you have this type of account if you both want unrestricted access to the account. There are also joint bank accounts that have limitations. 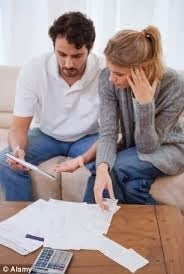 If you are concerned about how your partner deals with money, you can get a joint account that requires you either to approve a withdrawal or sign a cheque. This can get tedious, but if you set up your shared household expenses through bill pay, once you get things automated, you can just make sure that you each deposit the requisite amount of money from your own accounts to cover shared expenses. Other than that, most of these banks offer good savings rates. However before you open a joint bank account, make sure that you understand your options, and you choose what works best for you.